adapt for use in a different purpose. My sister's Mother-In-Law, Debbie Bickel, posted this on her Facebook page today and I was like, WHOA. 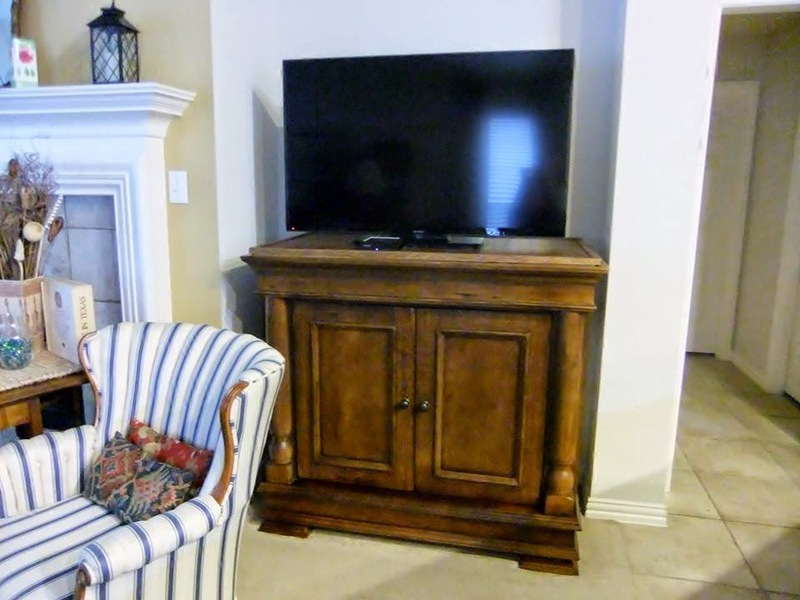 She repurposed an unused TV armoire into into two awesome headboards for the twin beds in her Guest Bedroom and a TV cabinet for their flat screen TV. I am in LOVE with them! Seriously, at first glace I thought she posted pictures of something she saw at an antique store. I have to brag on my hubby...We had an armoire for our old TV, but when we got a new TV, the cabinet didn't work for us anymore. So Larry split it in half, using the bottom as a TV console when he put a new top on it. 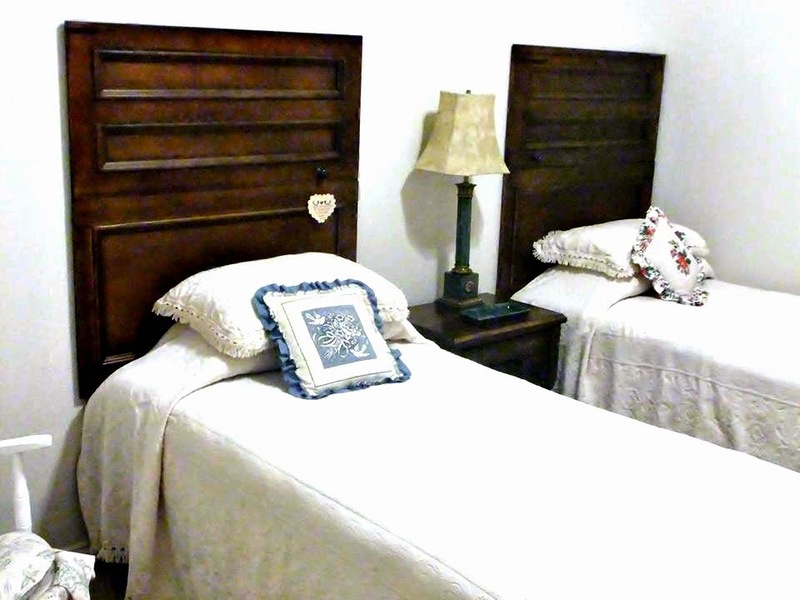 The doors and sides of the top half became head boards for our guest room, when he worked a little more magic. I wanted to share the results with you. We are pleased. Don't they look fabulous? You are not alone in feeling inadequate at this moment. Why didn't I know that she had vision like this? She is welcome to decorate my entire house now. Special shout-out to her husband, Larry, too. SO didn't know he had the "skillz".